WordPress may be one of the most complete content management systems available today, but that doesn’t mean it’s perfect. There are still a number of areas where the software could be improved — and one such area is search. To put it politely, search isn’t an area where WordPress excels. When a user types in a search request, the default WordPress search engine will frequently return content that’s irrelevant or out of date. Visitors can’t narrow their search down to specific categories or keywords, nor can they view highlighted terms in search results. There’s no native support for taxonomies, custom post types or custom fields either. Thankfully, there are a number of WordPress search plugins that can address these limitations. Search plugins enhance or replace the default WordPress search engine to give visitors more relevant search results and a better user experience. This helps visitors to find the content they want more quickly, which helps to reduce website bounce rates and increase traffic. But with so many plugins on the market, how do you know which to choose? In this article, I’ll look at nine of the best WordPress plugins for improving search on your website, so you can choose the one that’s right for you. With more than five million active installations, Jetpack is one of the most popular WordPress plugins available today. And with functionality such as brute force protection, website statistics, unlimited image hosting and more, it’s easy to see why. Automattic have adopted Jetpack as a way to promote their other premium services. The personal Jetpack plan at £3 per month adds daily automated backups, while the premium plan at £8 per month adds malware scanning, Google Analytics integration and PayPal integration. 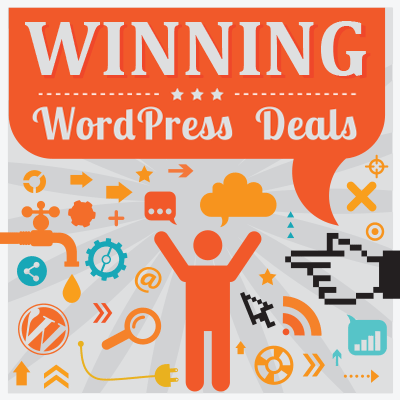 Move up to the professional plan at £25 per month and you’ll get access to more than 200 premium WordPress themes, as well as Jetpack Search. Powered by Elasticsearch, Jetpack Search replaces the default search functionality in WordPress to provide higher quality results. 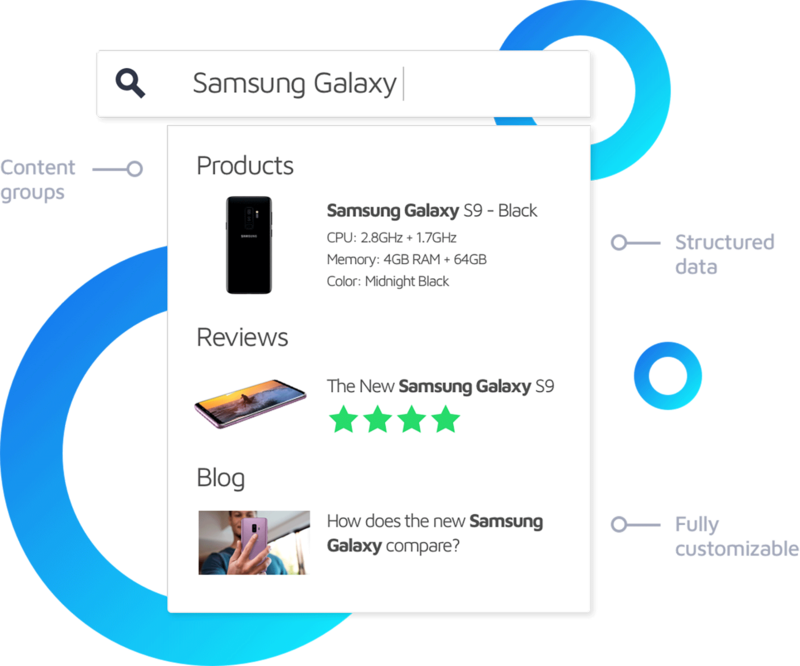 Jetpack Search improves search in a number of ways. 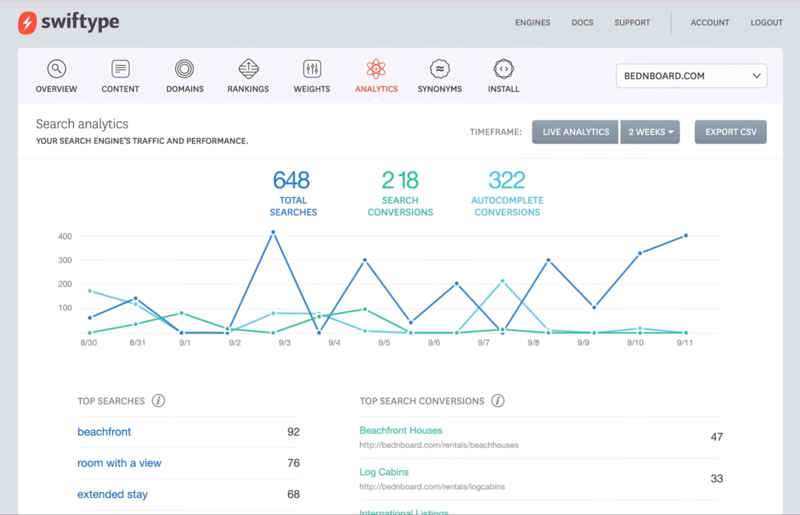 It supports millions of queries, indexes your content in real time and displays search results instantly. One feature that’s convinced many people to use Jetpack Search is its support of filters. It allows website users to filter by tags, categories, custom taxonomies, authors, dates and post types. You can customise the search algorithm too, and there are no restrictions on how many searches are performed or how you use the Elasticsearch API. To use Jetpack Search, you’ll need to upgrade to Jetpack Pro. There are many cheaper search alternatives, but the pro package offers great value for money if you also need access to premium themes, advanced security scanning and real-time backups. SearchWP is a fantastic search solution for WordPress that integrates perfectly with many popular WordPress plugins such as WooCommerce, bbPress, Easy Digital Downloads, Advanced Custom Fields and more. Whereas Jetpack Search only has a few filtering options via a widget, SearchWP gives you much more control over how users search your website. You can give a specific weight to post type attributes, taxonomies and custom fields. You can also define search rules, exclude particular pieces of content and use keyword stemming instead of exact term matches. SearchWP natively supports popular eCommerce plugins, and integrates with custom meta data and documents such as PDFs, text, and office documents. You can create multiple search engines for different areas of your website too. The developers of SearchWP allow customers to shape what functionality is activated by use of an extension system. At the time of writing, there were 28 standard extensions, four pro extensions and two free third-party extensions (one of which was developed by FacetWP). The Live Ajax Search extension can be downloaded from WordPress.org and used either with or without SearchWP. A standard license for SearchWP retails at $99. It provides access to all 28 standard extensions, and gives support and updates for one website for a year. Standard extensions include an option to highlight search terms, term synonyms for grouping similar words and terms, and shortcodes for displaying search forms in posts and pages. The pro license at $149 per year arguably offers better value as it increases usage to five websites and gives access to all pro extensions. Agencies may want to opt for the pro plus license at $299 per year, which removes usage restrictions.  The four pro extensions are WooCommerce Integration, Related Content, Redirects and Metrics. The metrics extension is one of the best features of SearchWP because you can see what visitors are searching for, and so use this information in your content strategy. 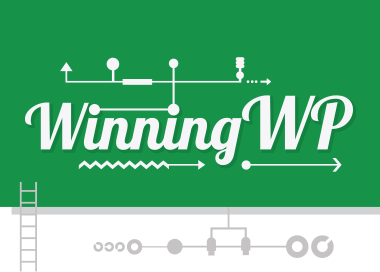 Without doubt, SearchWP is one of the best search plugins available to WordPress users. I recommend checking it out. Relevanssi is one of the most popular WordPress search solutions on the market. 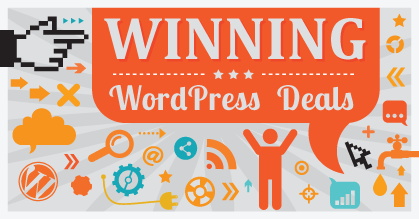 Its name stems from its goal to help WordPress users display search results by relevance. The free version of the plugin is packed full of features, allowing you to highlight search terms, use fuzzy matching for partial words, and search for phrases and quotes. Users can also search through comments, tags, categories, custom fields, taxonomies and custom post types. A useful ‘Did you Mean?’ feature gives visitors suggestions too. In addition to WordPress multi-site support, Relevanssi natively supports many popular WordPress plugins such as bbPress, WPML and Members. The premium version of Relevanssi enhances the plugin in many ways. It adds attachment and PDF content indexing, searching across sub-sites, and indexing and searching for user profile pages and taxonomy term pages. It also lets you adjust the weight each post type and taxonomy is given in the search algorithm, and adds the ability to index and search any column in your wp_posts database. Upgrading to the premium version will cost you £94.85 per year, or a one-off fee of £286.44. Both licenses offer support for an unlimited number of websites. 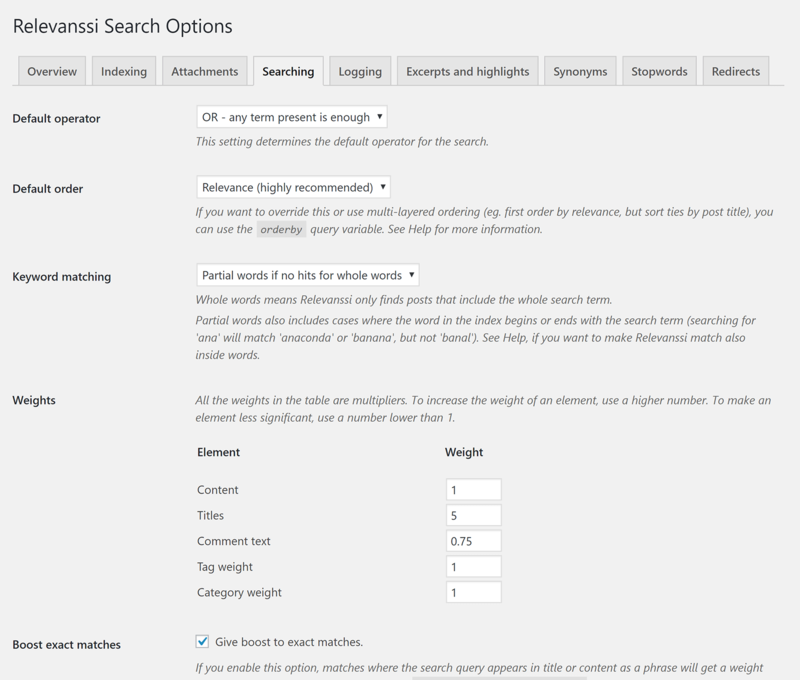 Relevanssi is one of the best free search solutions for WordPress, and the premium version adds some great features. Because the plugin requires a lot of additional storage, large businesses and other high-traffic websites should test it thoroughly before going live. The developers note that their plugin will use about three times as much storage as your wp_posts database table. Ajax Search is a highly customisable WordPress plugin that adds a live search engine to your website. The Ajax-powered search form displays beautiful search results with thumbnails as the visitor types their keyword or key phrase. The core plugin, which can be downloaded for free, has a user-friendly backend, and most features can be switched on and off at the click of a button. You can customise thumbnail sizes and the source of thumbnails, and use one of eight built-in form templates. Images can also be cached to improve performance. 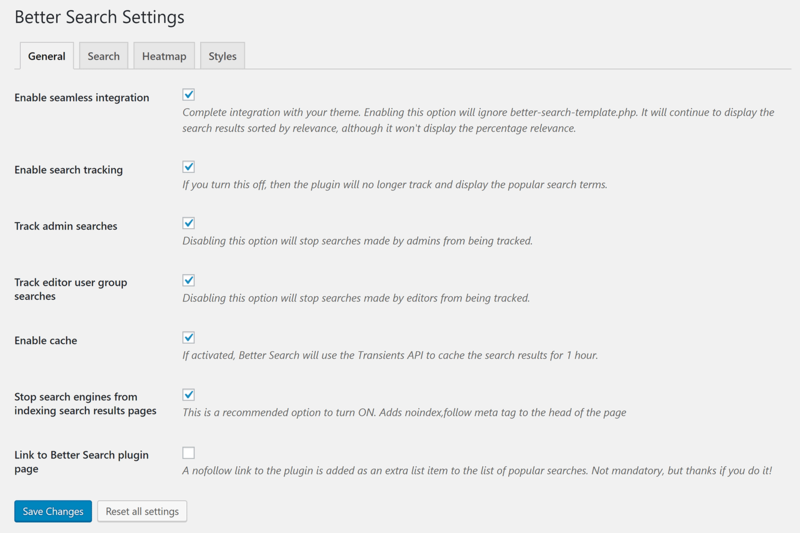 The default search functionality of WordPress is extended considerably. 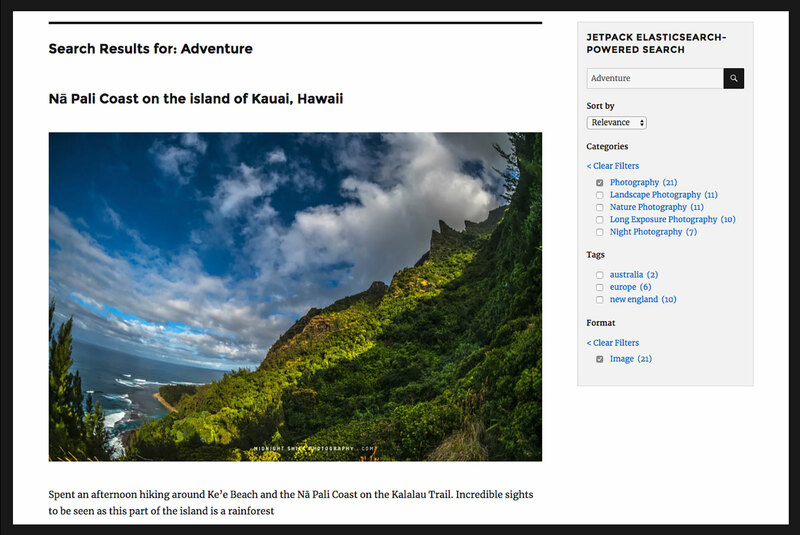 Visitors will now be able to search within custom post types, categories, custom fields and more. Google Analytics can be integrated, and the whole plugin is translateable too. The pro version of Ajax Search retails at only $36. It adds support for searching custom fields and keyword highlighting, and adds filters for categories, custom post types, taxonomies and more. The pro version also allows users to search within attachments, and there’s additional integration for multiple WordPress plugins such as BuddyPress. Google keyword suggestions and autocomplete are available in the pro version too. A host of additional styling options are also provided. There are more than a hundred editable themes, four layouts and hundreds of other additional admin options. The sheer volume of customisation options is impressive. If you’re looking to improve the user-experience of visitors searching your website, Ajax Search is a great option. An alternative to Ajax Search you may want to consider is Dave’s WordPress Live Search. The plugin lets you define the number of live search results that appear, and whether they appear when the user enters one, two, three or four characters. Live results can show metadata, thumbnails, post excerpts and a ‘View More Results’ link. There are three colour schemes — gray, red and blue — or you can style results yourself. You can do this via CSS, though the color pickers that are available for each section are much simpler to use. Dave’s WordPress Live Search also lets you exclude content from live searching, but, on the whole, the plugin doesn’t have as many features or styling options as Ajax Search. That said, it’s still worth checking out because it’s easy to use and displays live search results almost instantly. 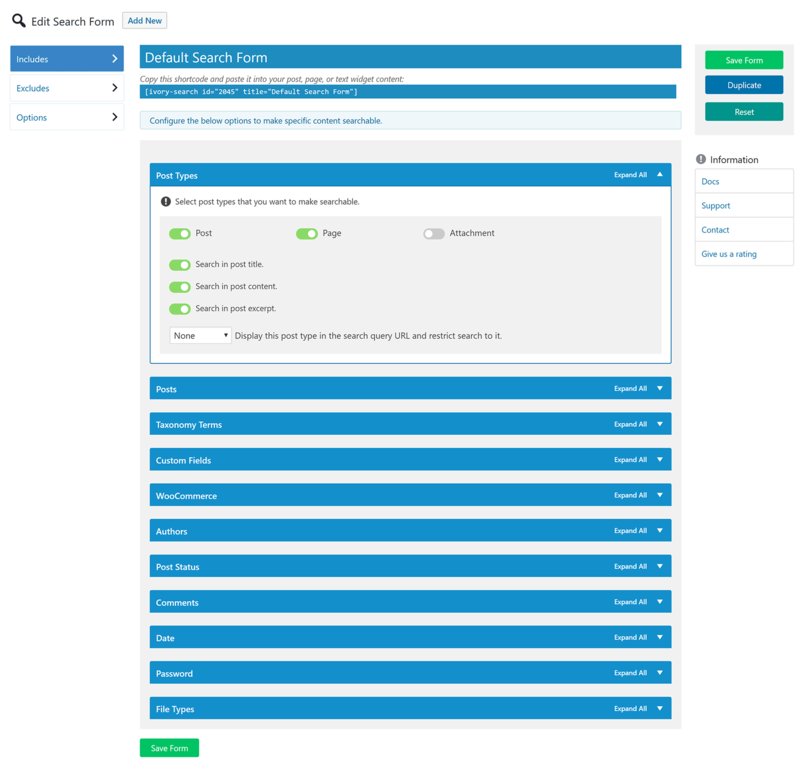 Ivory Search is a feature-rich WordPress search plugin that allows you to create an unlimited number of search forms for your website. It boasts a user-friendly interface where hundreds of options can be enabled or disabled with just one click. The free version of Ivory Search has many unique features you won’t find in other search plugins, such as the ability to only search within password protected posts or posts created within a specific date range. 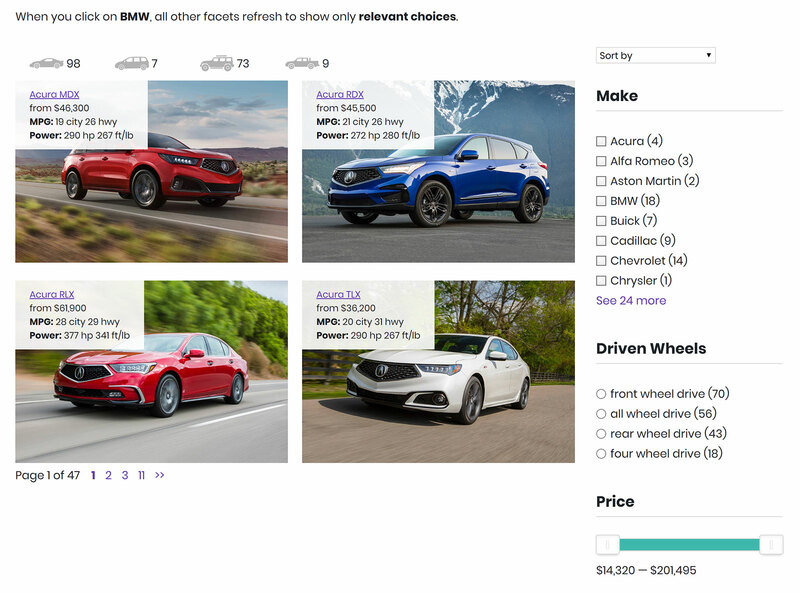 Users can search within posts, pages, categories, taxonomies, custom post types and more. Ivory Search gives you great control over what content is excluded from searches too, and it integrates with many popular WordPress plugins, such as bbPress and WooComerce. The pro version of Ivory Search retails at only $19.99 per year. This plan unlocks additional functionality such as searching specific author posts and excluding posts that have a specific post status. The pro plus license costs $49.99 per year. 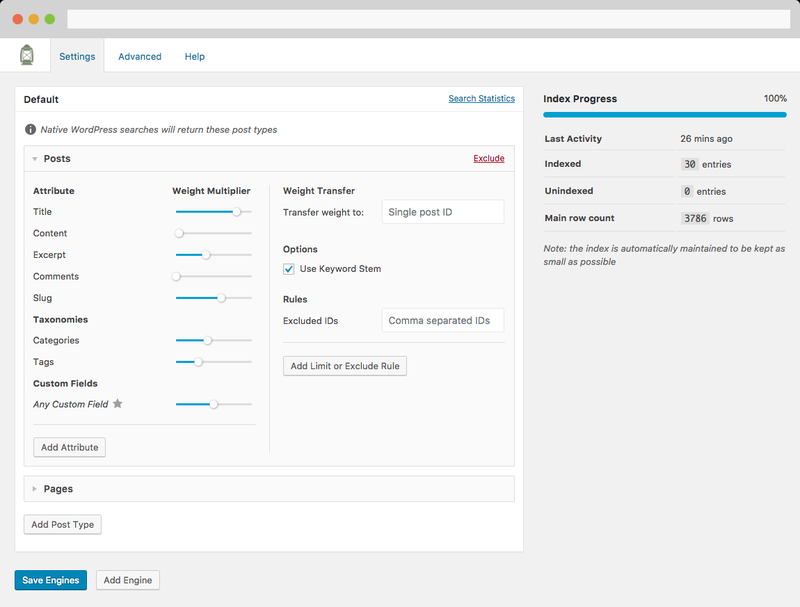 Upgrading to this version lets visitors search within the WooCommerce SKU, and search images, attachments and other media. With the free version offering many advanced options, and the premium licenses being priced competitively, Ivory Search is easy to recommend. WP Solr is a versatile WordPress search solution that’s popular with shop owners because of its support of plugins such as WooCommerce, Advanced Custom Fields and Yoast SEO. The plugin can use one of two powerful search platforms: Elasticsearch or Apache Solr. Most of the 23 add-ons included with the plugin help to integrate WP Solr with other services, as well as WordPress plugins and themes, though you’ll also find functionality add-ons such as a PDF embedder that allows you to search within documents. WP Solr supports all custom post types, taxonomies, custom fields, and attached files. Ajax search allows visitors to see live results for their searches, and there’s also a cross-domain search option that lets users search across multiple WordPress websites. 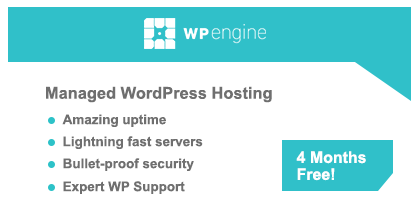 WP Solr retails at a one-off fee of €49, and comes with lifetime updates and support. The price-per-website for WP Solr reduces as you purchase the software for more websites. The developers allow you to download the software and test it before buying. I recommend doing so, and if you run into problems ask in their support forums for help. FacetWP is a unique WordPress search plugin that uses a faceted search system. Searches use information from custom fields, taxonomies and post data to ensure all results are relevant. There are 12 facet types to choose from, including checkboxes, dropdowns, sliders and more. 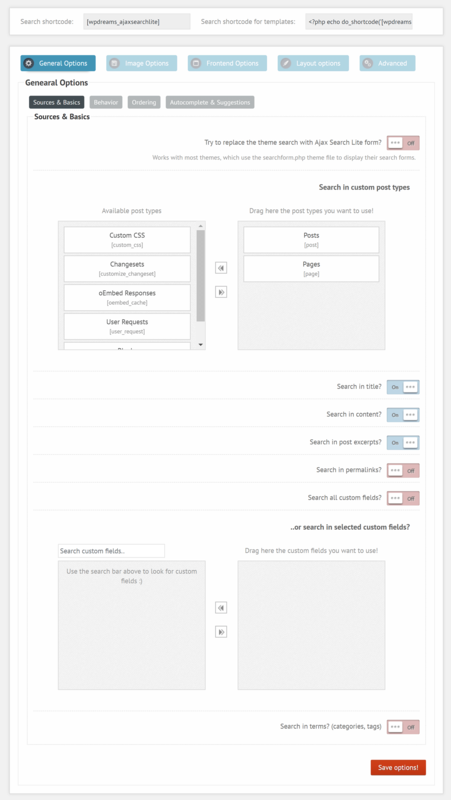 Hooks and shortcodes can be used to customise forms. FacetWP works with plugins such as WooCommerce, Advanced Custom Fields and Beaver Builder, and it also integrates with other WordPress search solutions such as SearchWP and Relevannsi. A basic license for FacetWP costs $99 and gives support and updates for one year for up to three websites. This version supports all filter post types, and comes with all add-ons. The processional license costs $249. Stepping up to this package increases usage to 20 websites and gives access to the user post type feature. FacetWP is certainly one of the most interesting search solutions available for WordPress. It has a lot of cool features, such as conditional logic, that you won’t find in other plugins. If you’re looking to offer visitors more filtering options when searching your website, FacetWP is one to check out. WP Google Search provides a simple way of integrating Google Custom Search into your WordPress website via a widget. To do this, you need to register at https://www.google.com/cse/ to get a Google Search Engine ID. Once you have the ID, just enter it into the plugin settings page, and you’re good to go. Options are limited. You’ll find an option to display a search bar at the top of search results, an option to open links in a new tab and some CSS correction options. There are no options in the plugin widget beyond changing the widget title. The vast majority of customisation options can be found in Google’s Custom Search area. You can change the look and feel of search results there, and also enable features such as autocomplete. If you’re looking to integrate Google search results into your website, WP Google Search provides a user-friendly bridge for doing just that. While there may not be as many WordPress search plugins on the market as contact form plugins or social media plugins, there are a few good search solutions that just missed our list but are worth mentioning. 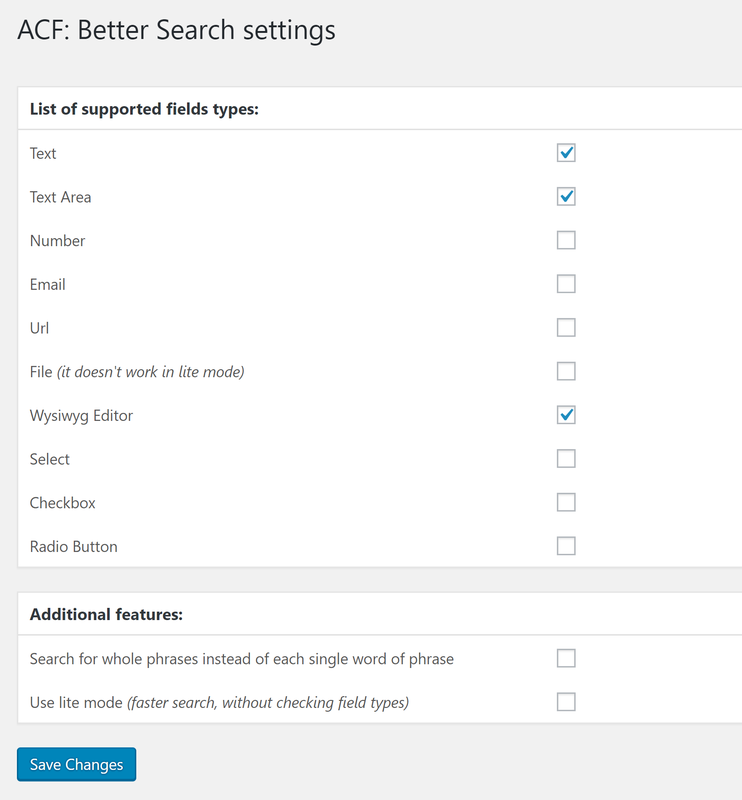 Better Search is a free WordPress plugin that replaces the default WordPress search engine with more relevant results. It allows you to specify the weight factor of the article title, and content and thumbnails can be displayed in search results. Those of you who use Advanced Custom Fields may find ACF: Better Search useful. Once this free plugin is activated, visitors will be able to search in content from custom fields you’ve created. 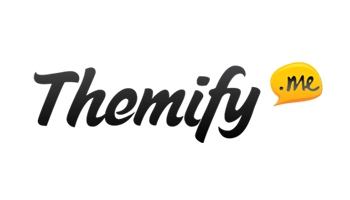 At the higher end of the market is Swiftype, offering a powerful site search service and a WordPress plugin that connects your website to your Swiftype account. However, with plans starting from $79 per month, it’s perhaps a service that only large businesses should consider. 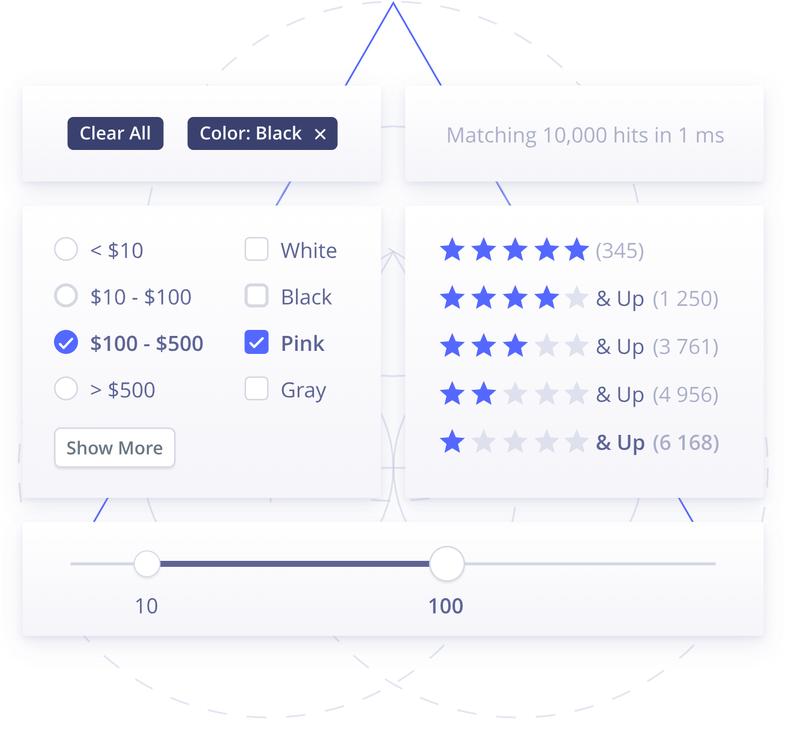 Another popular premium search service is Algolia, which is used by high-traffic websites such as Twitch. Plans start from a more affordable $35 per month, but there’s also a community plan that includes 10,000 records and 100,000 indexing operations per month. This should allow a sufficient number of searches for many websites, so it’s worth checking out. 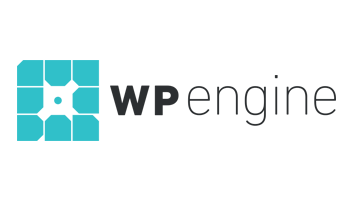 Be sure to install Algolia’s official WordPress plugin to integrate it into your website. The last honourable mention goes to Site Search 360, another premium service that has a WordPress plugin. It’s a customisable solution that looks great, but, thankfully, prices are more sensible. The free plan allows 150 pages indexed and 1,000 queries per month. However, upgrading to the Columbo plan for only $9 per month increases this limit to 1,500 pages indexed and 5,000 queries per month. The default search engine that’s built into WordPress should be sufficient for a small website with fewer than 25 pages. For larger websites, visitors will find it difficult to find the content they’re looking for. WordPress search plugins address these limitations by improving the relevance of search results and letting you control which factors are used in the search algorithm. Search plugins also expand upon what’s searched, and allow you to search within custom fields, taxonomies, custom post types and more. Filtering also helps visitors to narrow down their searches so they can find what they’re looking for more easily. I recommend doing your own research and testing search plugins by installing the free WordPress plugins and checking the demo of premium solutions. If you’re not looking to spend any money, my advice is to choose Relevanssi, Ajax Search or Ivory Search. WP Google Search is an option for those who want to display Google search results, though bear in mind this plugin isn’t technically necessary. You can integrate Google manually yourself. 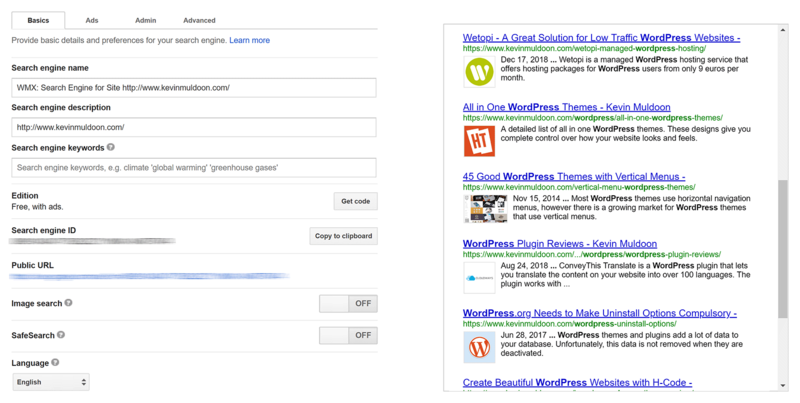 What WP Google Search does is simplify this process. There are many options on the premium end, including Jetpack Search, SearchWP, WP Solr and FacetWP, or you could also select the premium version of one of the free plugins recommended above. If you’re already paying for premium Automattic Services, Jetpack Search is one to consider. Just bear in mind that it lacks the customisation options many other solutions offer. When I first started reviewing WordPress’s search plugin options, my initial recommendation for a premium solution was SearchWP. I still feel that it’s the best overall solution because of the functionality it offers and the way it integrates with other popular WordPress plugins. That said, there’s no ‘Best Plugin’, there’s only what’s best for you and your website, so be sure to look at all your options and make an informed decision. Used/using any of the above plugins? Thoughts? Thanks for the eval Kevin. Glad you included both free and premium plugins. It should also be noted that the Google search solution display’s ads on the results page! I would really like to know how much bloat these add to your site. I installed Relevanssi for example and my db nearly tripled in size! That instantly ruled it out of me being able to use it. Thanks Kevin nice post, but swiftype is no longer free and not cheap either $249 a month. I did install relevanssi but came across the same headache as @simon_pollard:disqus . Finally, I come across a plugin called SearchIQ that does the same as swiftype for free without limit. I just installed it and it looks great so far. This is a helpful list of search options – thanks! We’ve used Google Custom Search on a few of our sites with great results. There are a bunch of good frontend search options on WordPress, but our problem was not being able to find an option for backend searches – like when you’re trying to find a line of code from the theme or plugin editor. You know, as an alternative to having to open each css file individually to find it. We couldn’t find a workable solution, so we built one! Our plugin has been helpful for speeding up editing, for those instances where you know the line of code, or snippet or string, but don’t know what file it’s hiding in. Now you can search all the Theme or Plugin files at once. I found this one. https://wordpress.org/plugins/reactive-lite-advance-searching-filtering-grid/ . It looks promising. You will need to install Elasticsearch or Apache Solr, but it worth it. And its free version can manage unlimited post types, facets, attachments, suggestions, spellchecking, Ajax, infinite scroll, field boosts, fuzzy search, partial search, stemmers, synonyms.